An experiment from 1920! 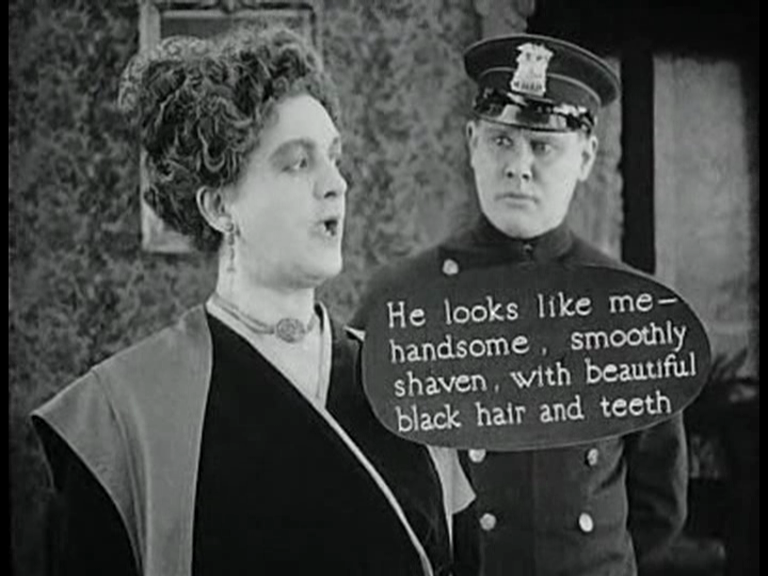 THE CHAMBER MYSTERY is a very talkative silent film, whose writer-director Abraham S. Schomer (also a playwright, which explains the verbosity) gets around the speechifying in novel ways. Some dialogue is presented by traditional title cards, but, rather inexplicably, much of it comes at us via rapid-cut closeups of talking actors with speech bubbles pasted, cartoon-fashion, into the shot. This is quite charming and might be reasonably effective if one had a chance to get used to it. 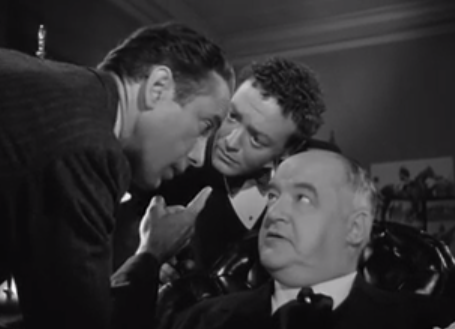 Sadly, all I have of the film is an untitled fragment, heavily spliced so that characters seem to judder around the place like flickering phantoms. 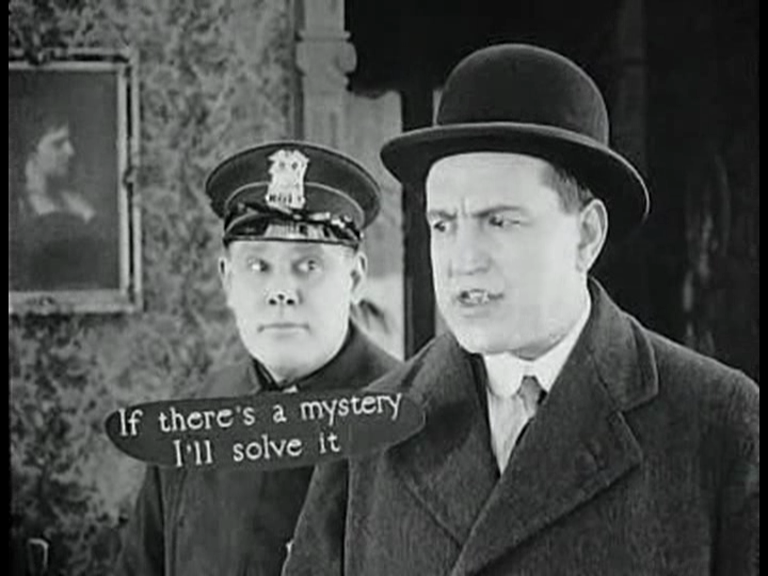 The only other times I’ve seen speech bubbles in silent films is in animated films, or else when the filmmaker wishes to represent the communications of a parrot. I guess the idea of a bird talking was so surprising that the director felt an ordinary title card just wouldn’t cut it, and the dialogue and image had to be tied together more pointedly to make it clear. In a way, this is sort of treating the bird’s speech as a sound rather than as language, which I guess Noam Chomsky would agree is appropriate (though parrots, even if they lack grammar, do seem to understand what they’re saying). One bonus here is that you can watch the constable’s growing surprise at what the lady is saying, as she’s saying it.